With elephant safaris, ancient Buddhist cities, and unspoiled Indian Ocean beaches, Sri Lanka is a hot destination. So how good are its spas? Very good, as it turns out. Formerly known as Ceylon, this large island off the coast of India has many excellent new properties that have made spas a priority. The people are warm and friendly, the Sri Lankan curries made with local fish, meats, and home-grown vegetables are delicious, and the shopping is amazing -- especially for jewelry made with Sri Lankan gems, hand-woven textiles, and renowned spices and teas. Even in the high season of December through March, when the days are sunny and the temperatures moderate, the major tourist stops are surprisingly uncrowded. Sri Lanka is clean, has a low-key vibe that appeals to those who think India might be overstimulating, and it's a great value. International flights to Sri Lanka arrive in the capital of Colombo on the western coast of the island. Book a stay at The Kingsbury Hotel, an oceanfront five-star property in the downtown district. An executive room includes access to a lounge with extras like morning breakfast, afternoon snacks with tea or wine, and lots of other extras, all expertly delivered by a warm and friendly top-notch staff. The Kingsbury is the perfect place to get over jet lag, best done with a massage at the spa. The spa menu includes an Indian head massage and Thai heritage herbal body scrub, an amazing add-on. Try the Balinese massage, which uses deep tissue massage, acupressure, and reflexology to stimulate the flow of blood, oxygen, and qi (energy) around your body. As in many international spas, the therapists are not as concerned about modesty. Don't be surprised if the therapist asks you to disrobe and get on the table in front of her. Stay at Uga Ulagalla, a fascinating property with a 150-year-old chieftain’s mansion that serves as the reception area and restaurant. From there you take a buggy to one of 20 stand-alone villas spread out over 58 acres on this LEEDS-certified property, which gets half of its energy requirements from solar energy. There are lots to do on the property including horseback riding, kayaking, a guided cultural walk to nearby farmers' villages, and birdwatching. The resort spa, which you reach via charming stepping stones over water, offers a number of western massages and Sothys facials, along with Balinese massage and a BioRhythm treatment that uses green tea extract to help restore your circadian rhythm after a long flight. But the main reason to go is the area's stellar archeological sites. Going further south from Anuradhapura to get closer to the sights of Dambulla, book a stay at Signature by Amaya. This is the luxury wing of Amaya Lake Resort, and they are set near each other on banks of the majestic Kandalama Lake (an amazing spot for birders). Lined along a tree-covered wooden walkway, the luxury villas are modern and comfortable -- very much in line with an American luxury corporate ideal -- and have a dedicated restaurant and swimming. This is one of the most interesting spas in Sri Lanka because it specializes in Ayurvedic treatments, including massages with special herbal-infused medicated oils, steam (sweda) treatments, and Shirodhara. Prices are unbelievable by American resort spa standards. Amaya is also a good launching point for elephant safaris to one of three nearby parks. The park you visit depends on what time of year it is and where the elephants are (your guide will know). The city forming the southernmost point of the Cultural Triangle, Kandy is a vibrant city set in the hills and surrounded by a river on three sides. It was the last bastion of Buddhist political power against colonial invasion, to which it succumbed when the British came in 1815. Its Temple of the Tooth holds the sacred tooth relic of Buddha, brought to Sri Lanka in the third century A.D. and encased in seven golden caskets. The hotels in Kandy tend to be small boutique properties, like an 1804 manor called The Kandy House. 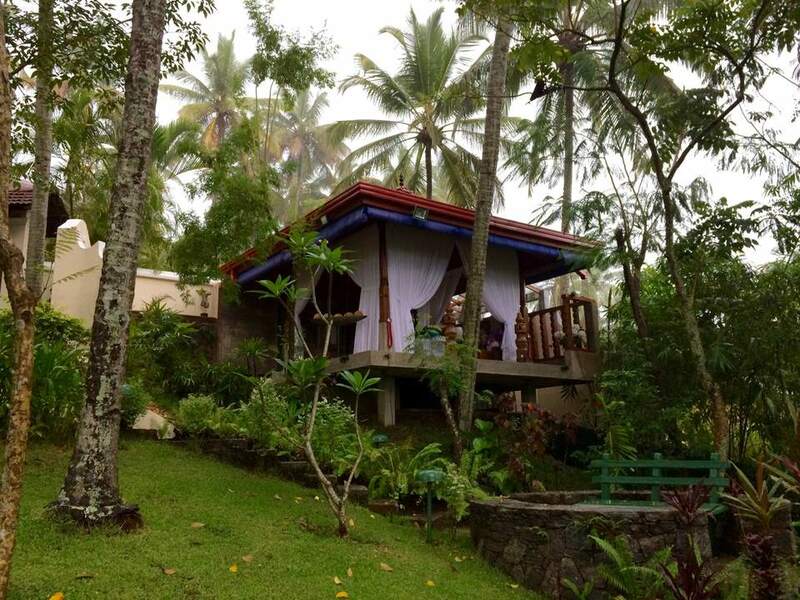 Furnished with antiques and four-posters swathed with netting, The Kandy House doesn't have a spa but can arrange for an Ayurvedic therapist with 25 years experience to give you a treatment in your room. Private classes for yoga may also be organized. About 45 minutes outside of Kandy, Clingendael is a modern boutique property that just feels like it's been there for 150 years. Perched on a hill with sweeping vistas, it has five individually designed suites decorated with artwork, antiques, and furniture. The atmosphere is colonial, with spacious and cool verandahs and lounge rooms. The most interesting feature for spa lovers is the indoor/outdoor individual spa suite overlooking the garden. It is absolutely delightful! Finally, Kandy is a town to do some serious shopping, especially if you love jewelry, antiques, silk fabrics, and pashminas. Next, catch a train for one of the world's most scenic rides, to the hills where world-famous Ceylonese tea is still grown, harvested, and processed according to time-honored traditions. You'll also find the country's absolute stand-out luxury property, Tea Trails, which can open the doors to a tea factory tour. Dilmah Tea, which owns some of Sri Lanka's finest tea estates, received many requests from people who desired to visit the lush green highlands. It began to arrange special stays in its estate managers' gracious homes, built between 1890 and 1939. Guests so enjoyed the tours of the factories and plantations, the historic homes, and traditions such as port or sherry by the evening fire that Dilma opened a completely unique property. Today Tea Trails is a series of five "bungalows," each with four to six suites or rooms and its own distinct personality. Separated by two to six miles, the bungalows are connected by scenic walking trails through the waist-high tea bushes, tended to by the brightly garbed tea pickers. It truly feels like you're staying in a home -- even your home -- due to the setting and incredibly gracious service from highly trained butlers. The meals (included in the rate) are the very best in the country, whether the food is Western or traditional Sri Lankan. Activities at this 4,000-foot elevation include hiking, mountain biking, kayaking, white water rafting, tennis, wildlife outings, and an in-depth tour of the tea factory available only to Tea Trail guests. Because the houses are small there is no central spa, but you can have a massage therapist come to your room. Providing the perfect contrast to the quiet hill country, Cape Weligama is perched on a cliff-top site near Galle on Sri Lanka’s southern coast, with an amazing view of the sea. Sanctuary Spa has four treatment rooms and tea-based treatments from the THÉMAÉ Paris. (Or you can get treatments in your luxurious oversized bathrooms.) The treatments use a custom 4 Teas Elixir which blends antioxidant green tea, regenerating white tea, soothing red tea, and stimulating black tea with pure spring water.